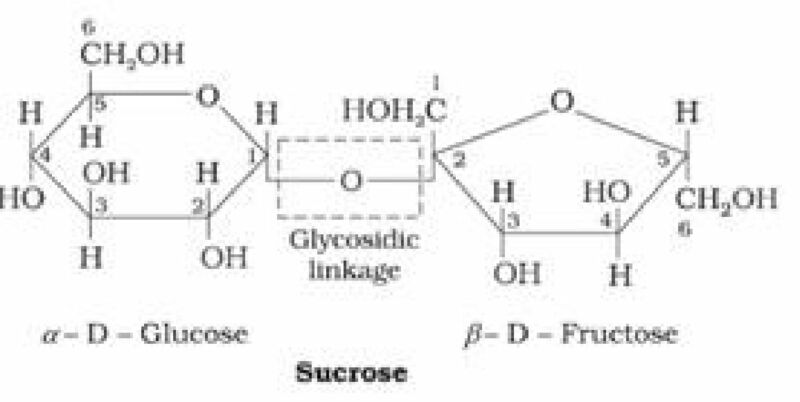 Carbohydrates which on hydrolysis give large number of monosaccharide units. are called anomers. 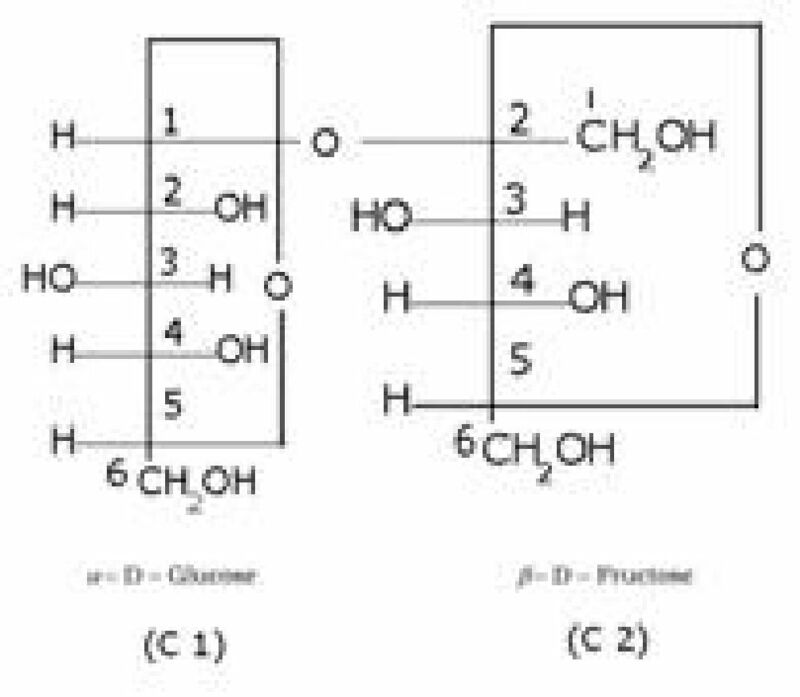 Examples – c*-D-glucopyranose and /3-D-glucopyranose. 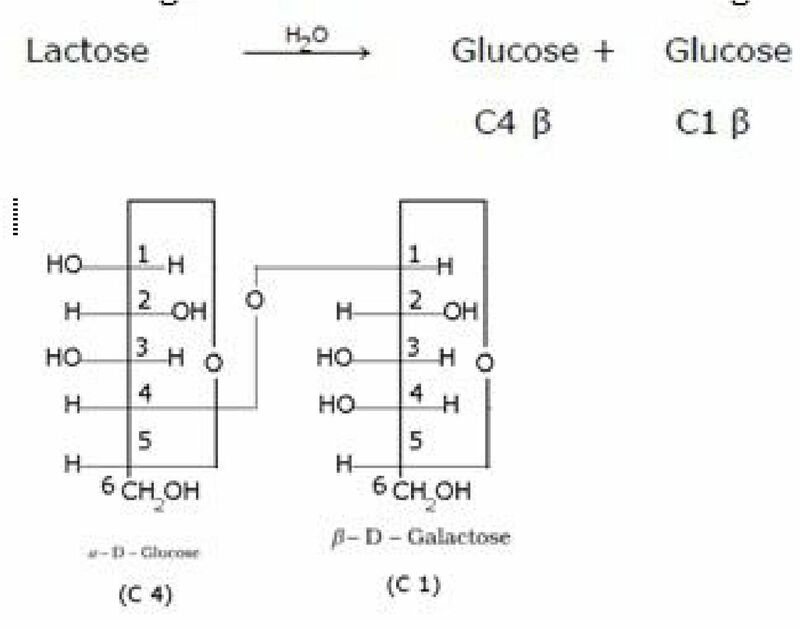 Glucose does not give Schiffs test and does not react with sodium bisulphite and NH3. group and hence the presence of ring structure. 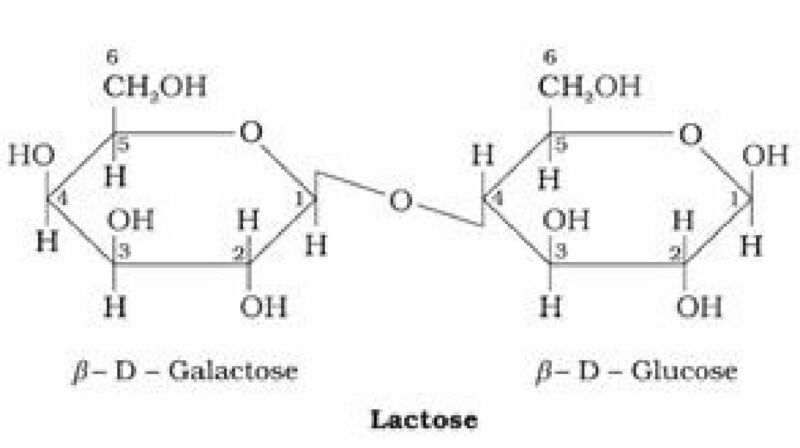 between C1 of galactose and C4 of glucose. Hence it is also a reducing sugar. It occurs exclusively in plants. 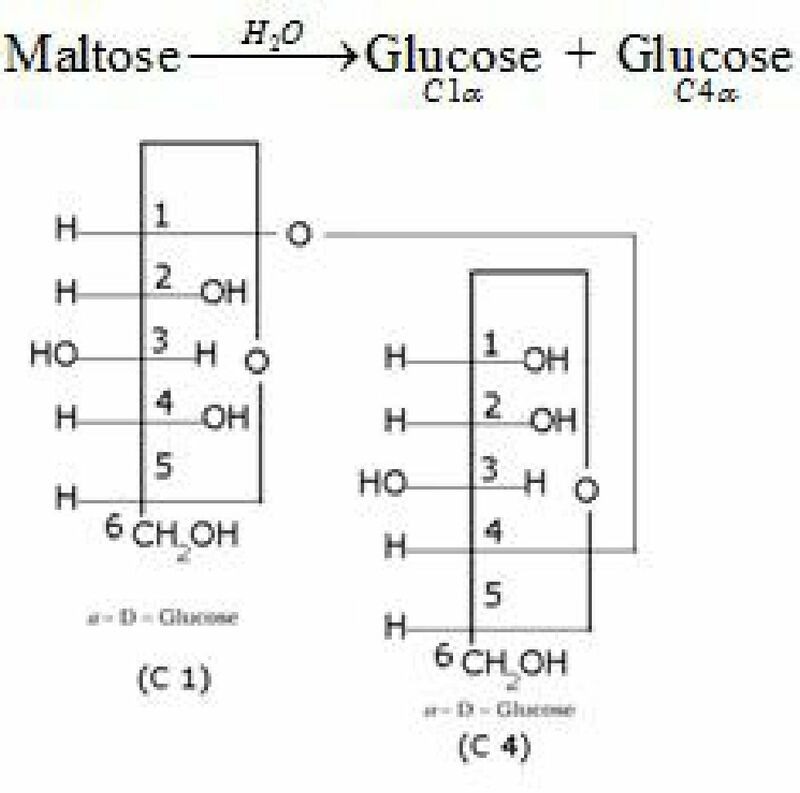 by glycosidic linkage between C1 of one glucose unit and C4 of the next glucose unit. 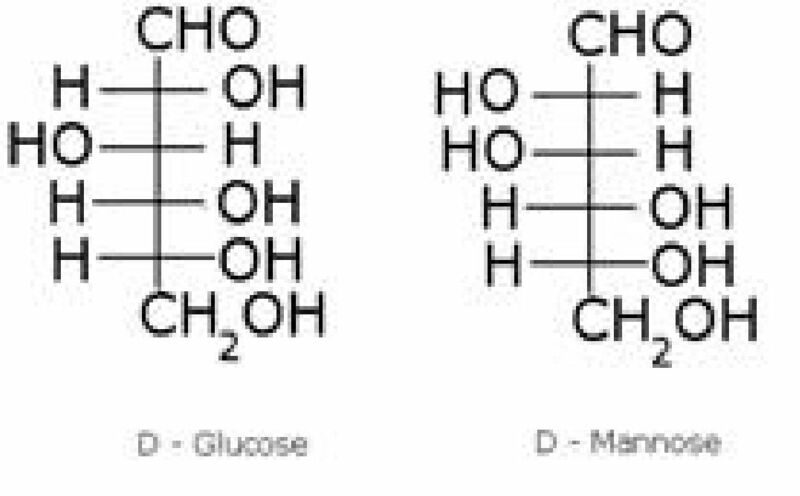 The carbohydrates are stored in animal body as glycogen. 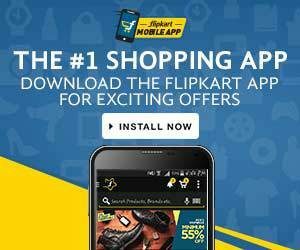 It is also known as animal starch because its structure is similar to Amylopectin. It is present in liver, muscles and brain. 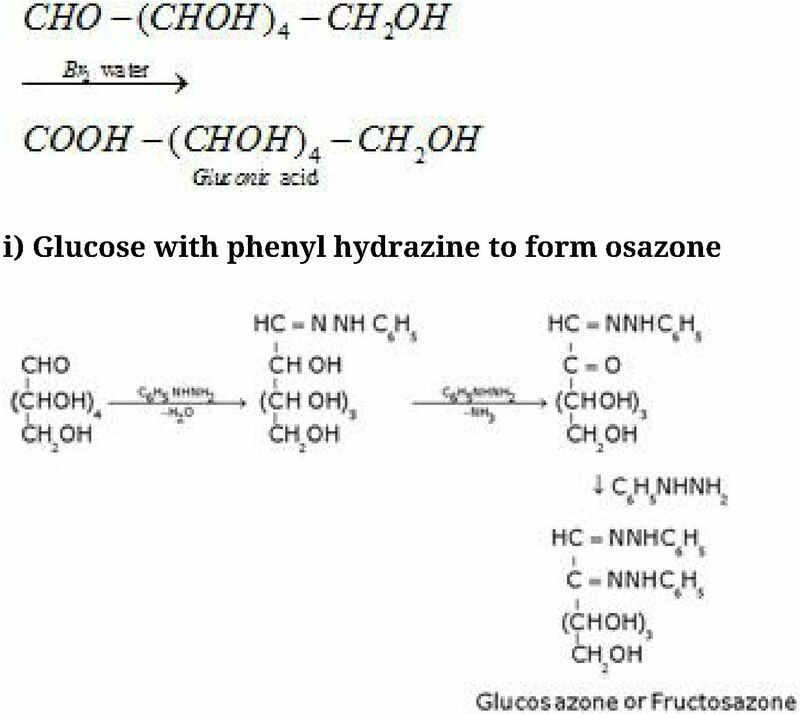 When the body needs glucose, enzymes break the glycogen down to glucose. 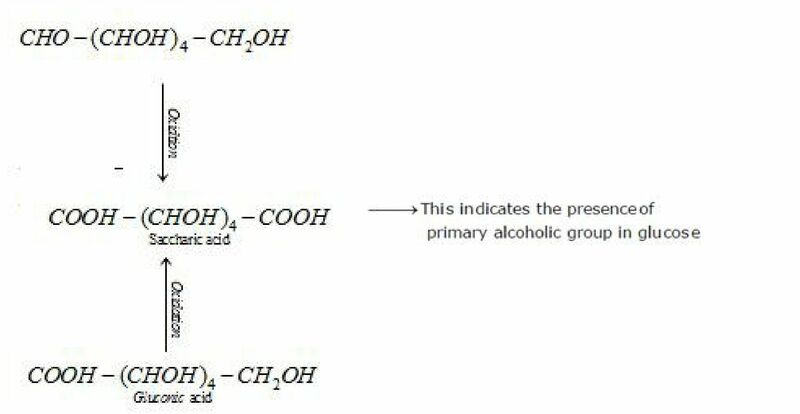 Amino acids contain amino (-NH2) and carboxyl (-COOH) functional groups. 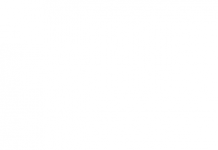 Most naturally occurring amino acids have L – Config. 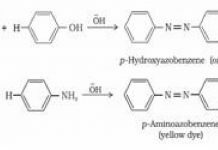 and amino group can accept a proton, giving rise to a dipolar ion known as zwitter ion. This is neutral but contains both positive and negative charges. not migrate to either electrode cathode or anode is called isoelectronic point. 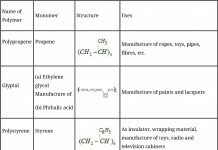 amino acid residues, having molecular mass higher than 10,000u is called a protein. It exists when R- group is large. of adjacent turn of the helix. and a 13 – membered ring is formed by H – bonding. 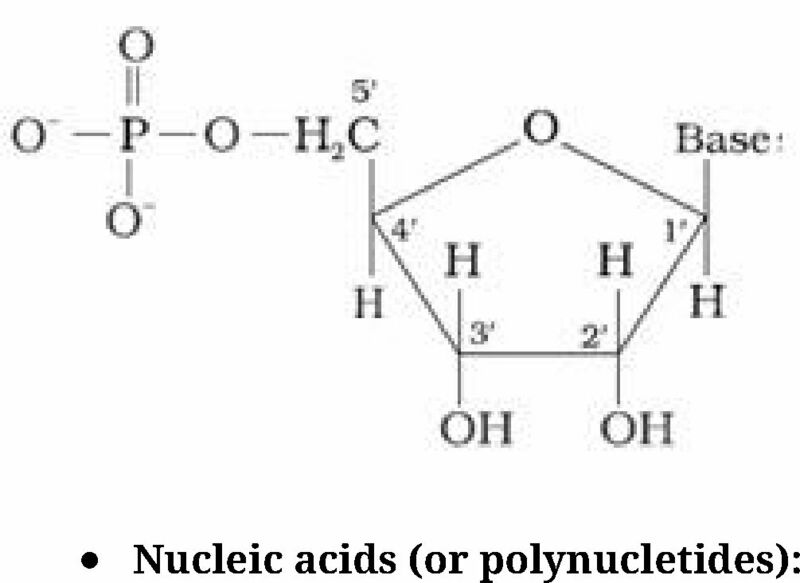 C = O and N – H group of the peptide bonds are trans to each other. (7amakes with C = O. It exists when R group is small. 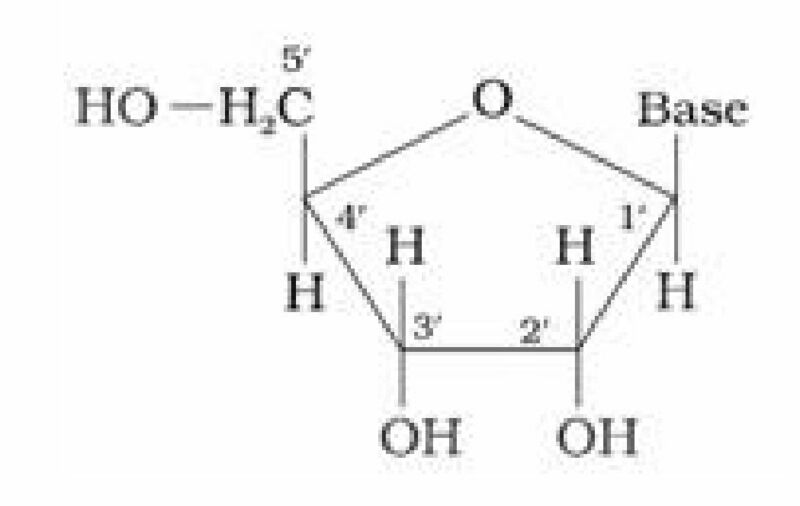 and then laid side by side which are held together by hydrogen bonds. chain i.e., further folding of the 2° structure. disulphide bonds, then fibre- like structure is formed. These are usually soluble in water. Example: coagulation of egg white on boiling, curdling of milk. It occurs mainly in the nucleus of the cell. It is responsible for transmission for heredity character. It has a single stranded a-helix structure. It occurs mainly in the cytoplasm of the cell. It helps in protein synthesis. opposite directions around the same central axis. Bases are stacked inside the helix in planes _Lto the helical axis. Two strands are held together by H – bonds (A = T, G =C). formed between specific pairs of bases. Diameter of double helix is 2 nm. their solubility in water or fat. These vitamins are soluble in water. excreted in urine and cannot be stored (except vitamin B12) in our body. Example: Vitamin C, B group vitamins. These vitamins are soluble in fat and oils but insoluble in water. They are stored in liver and adipose (fat storing) tissues. disorders and burning sensation of the skin. germ oil, sunflower oil, etc. of another glucose unit (II). reducing properties so it is a reducing sugar.